Tons of Top Prospects in this Loaded 160-card Base Set! 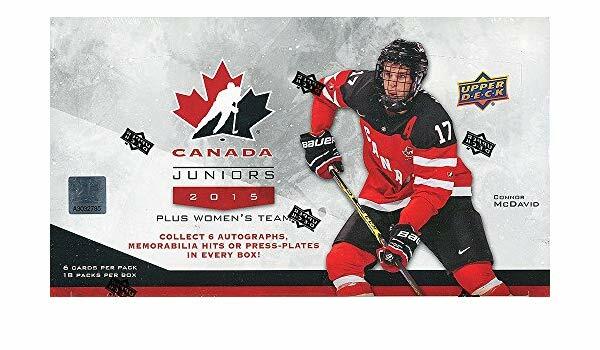 Including a great Connor McDavid selection, with Autos, Patch and Tag Hits! Get 6 (Six!) Autograph, Memorabilia or 1-of-1 Printing Plate cards in Every Box! Look for at least 1 signature patch per box, #’d to 199 or less! (NEW) Find Game-Used Nameplate Swatches! 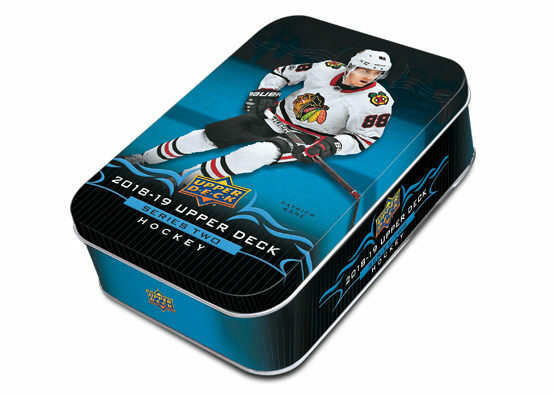 (NEW) Look for Retro cards, Falling 1 in every 2 Boxes! 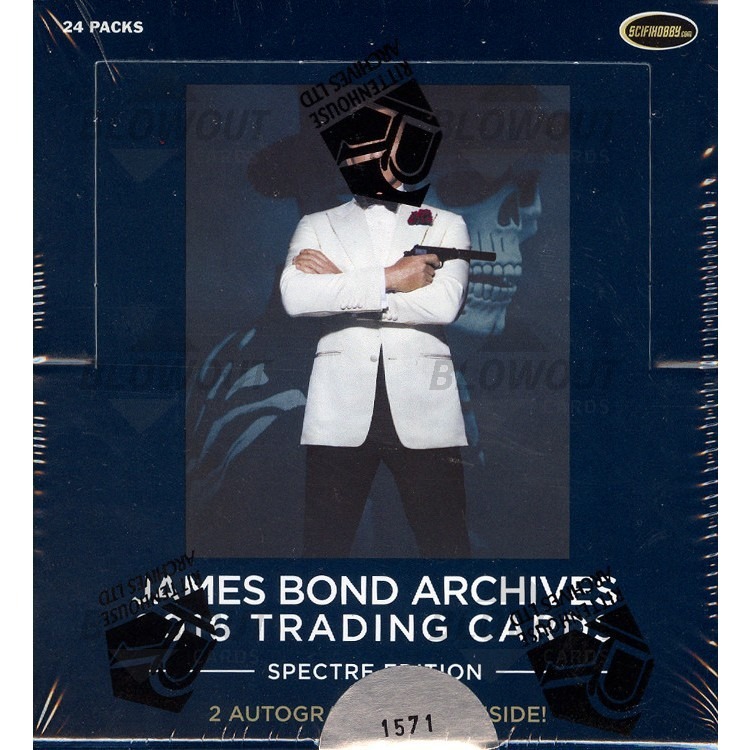 (NEW) Tags join the Memorabilia Hit Parade – Numbered as low as 1-of-1! (NEW) Find Maple Leaf Forever Die-Cut inserts! Including Autograph, Sleeve Patch & Amazing Patch Relic Versions! Collect Amazing Jumbo Patches that spell out CANADA! These stellar hits are taken directly from the chest emblem of a game-worn jersey! (NEW) Look for True North and Local Legends Jersey & Patch inserts! Even better, find Tag Parallel variations! (NEW) Collect Hydro inserts, printed with Patterned Foil & Seeded at 1 in 5 packs! Also grab rare parallels, hitting 1 in 54! Look for Gold Patch parallels of the Dual, Triple and Quad Jerseys, each #’d to 9 or less! Regular Set Parallels & Printing Plates!